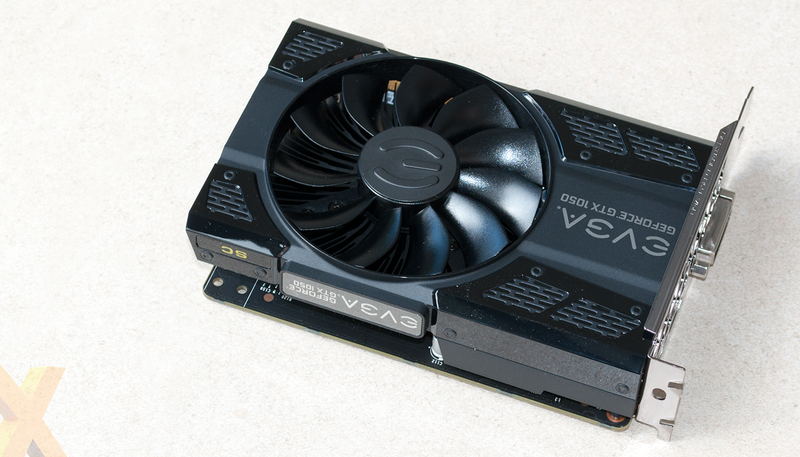 On the face of things, Nvidia's GP107 should be one of the most tempting GPUs of the year. 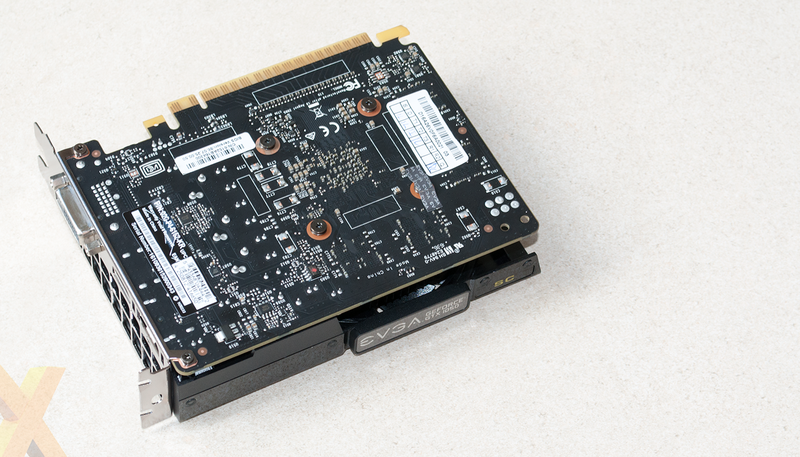 The small, cost-effective 14nm chip, productised as GTX 1050 or GTX 1050 Ti, is designed to offer 1080p gaming credentials in compact, energy efficient graphics cards that don't break the bank. Sounds ideal for mainstream gamers, however the first GTX 1050 Ti partner boards to pass through our labs have either been pricey, bigger than need be or unnecessarily burdened with additional power requirements. Can the standard GTX 1050 help balance the scales? To find out, we're putting EVGA's GTX 1050 SC Gaming through the wringer. Fetching roughly £125 at retail, the SC Gaming carries a small premium over Nvidia's £115 MSRP and in exchange offers a robust cooler, a factory overclock and a three-year warranty as standard. Not a bad deal, though the EVGA card is close to the upper limit of GTX 1050 pricing, as the 4GB Radeon RX 460 is available for similar money, while the superior GTX 1050 Ti starts at around £139. 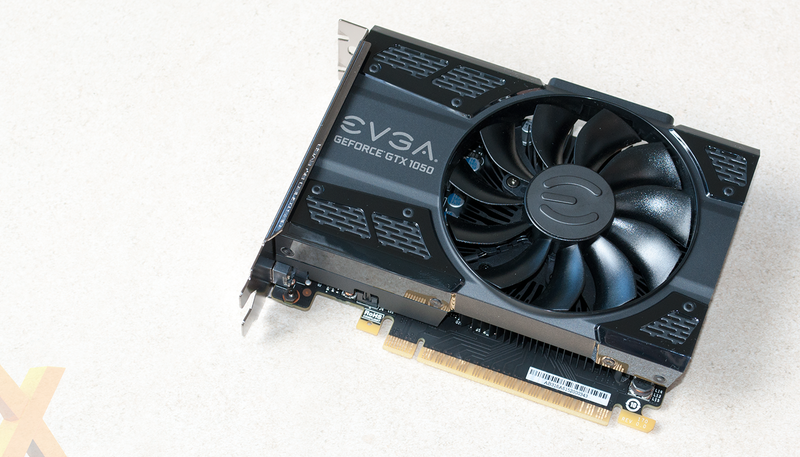 If EVGA's card looks familiar, it's because the design is practically identical to the recently reviewed GTX 1050 Ti model, though there are some important changes under the hood. As the weaker of the two GP107 propositions, shader count has been reduced from 768 to 640, the number of texture units falls from 48 to 40, and the GDDR5 frame buffer has been sliced in half from 4GB to 2GB. The number of ROPs remains intact at 32, as does the 128-bit memory bus, and to help compensate for the missing SM unit, GTX 1050's core clock speeds are in fact higher than the GTX 1050 Ti. Nvidia's reference specification sets base and boost clocks to 1,354MHz and 1,455MHz, respectively, and EVGA's SC Gaming moves things up another notch with shipping speeds of 1,418MHz and 1,531MHz. Taking the numbers and GPU composition into account, we'd expect the GTX 1050 SC Gaming to be roughly 15 per cent slower than the GTX 1050 Ti variant. A worthwhile compromise for a board costing 25 per cent less? Perhaps, though there are genuine concerns over the longevity of a graphics card armed with only 2GB of memory, and it can hardly be considered future proof when 4GB alternatives are available for similar money. Appreciating that the GTX 1050 ought to be small and compact, EVGA's dual-slot form factor measures 145mm in length and 111mm tall. A single 90mm ACX 2.0 fan keeps everything running cool, though as is the case with the GTX 1050 Ti model, the fan sadly doesn't turn off at low load. We'd like to see a BIOS update that introduces a 0dB mode for users who want to keep their system as quiet as possible, and we'd also like to see at least one manufacturer take the initiative and produce a non-standard form factor. The majority of GTX 1050s and GTX 1050 Tis are dual-slot, full-height solutions, and we're hoping someone will step forward with a single-slot or half-height alternative designed specifically for the multimedia/HTPC crowd. EVGA is playing it safe and aside from the raised shipping frequencies, the SC Gaming serves up no surprises. There's no additional power requirement - all the juice is sourced direct from the PCIe slot - SLI isn't applicable, and there's the default trio of display outputs; dual-link DVI, HDMI 2.0b and DisplayPort 1.4. A good choice for a low-cost gaming PC? Only the benchmarks will tell and we have a few interesting questions to answer. Is the GTX 1050 much slower than the GTX 1050 Ti? 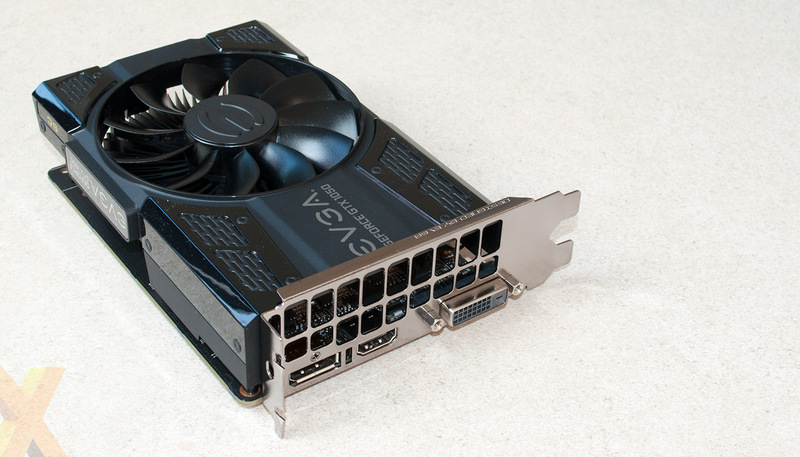 Can it keep pace with the rival Radeon RX 460? And, most importantly, can it deliver high-quality 1080p gameplay at a smooth 60 frames per second? Let's find out.